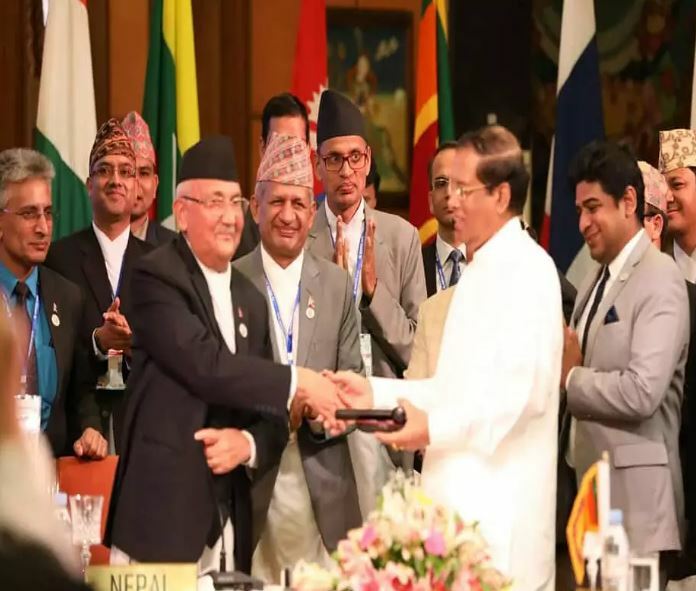 Nepal Foreign Affairs (KATHMANDU, 3 September)-The successful completion of the fourth BIMSTEC Summit in Kathmandu, despite the pressing and multi-layered challenges, brought two messages into limelight. One is associated with the Nepal’s domestic strength to host such regional summit and the other is concerned with revitalization of regional forums like BIMSETC, SAARC, BBIN and other sub-regional platform. With the grand success of this summit, now the discourse has focused on the SAARC not as an alternative of BIMSTEC, rather as the complementary bodies. The regional forums and groupings are the part of global power balance not only as to launch the common development but as to claim its stake in largely interdependent world. At a time Nepal was passing through the lack of adequate infrastructures and growing peace and order situation, the host to the six heads of governments for complete two days in Kathmandu was a daunting task. Nepal has given no opportunity to others to complain about it. It has further built up the confidence of Nepal. The summit had a direct impact to the international and regional image of Nepal. The bitter truth is that Nepal has no infrastructure even to hold such regional summit. This has been evidently felt this time when Nepal government had to choose the Hotel Soaltee for the Summit. The only international conference centre stationed in Nepal is the ICC which has been used by Nepal’s parliament as a rent. The second choice was the National City hall, which had been used as Venue for the 18th SAARC summit. But this time it was said that the city hall was no fit to hold the BIMSTEC summit. The Retreat, the informal meeting of the head of the governments was also carried out in the same hotel. Despite the lack of these very basic foundational structures, Nepal hosted the regional summit with a grandeur. Thanks to Prime Minister KP Sharma Oli and Foreign Minister Pradeep Gyawali for hosting such regional summit with a great grand success. In terms of agenda and contents, the Summit has also been successful. As a host of the Summit, Nepal had to make the forum proactive, and that’s what exactly happened here. Nepal proposed three agenda – the management of Charter, fund and Secretariat. Nepal’s proposal was endorsed by the summit. Now the procedural work has been given to the BIMSTEC beaucratic mechanism. Likewise, Nepal’s another agenda was the grid connection among the member states, that was signed by the foreign ministers of BIMSTEC as the head of the governments witnessed the signing ceremony. This sort of agreement is very important for Nepal since Nepal has a plan to export electricity to the neighboring and friendly nations. Prime Minister KP Sharma Oli’s inaugual speech also accumulated appreciation. The speech was of course impressive and rich in contents, it was in fact path breaking in the 20 years history of BIMSTEC. The BIMSTEC was first conceived as forum for the ocean economy but the fourth summit extended the ocean economy to mountain. It was Prime Minister Oli who made this proposal and unanimously endorsed by the summit. Prime Minister oli used the term of blue economy for water and mountain economy for the Himalayan region. This mountain economy can be the main attraction for BIMSTEC. The connection of mountain to Ocean through the BIMSTEC is the success story of Nepal. In maintaining proper protocol, the summit made a history. Even the smallest irritants didn’t appear. Deputy Prime Minister Ishwor Pokherel welcomed all the heads of delegate in the airport while another DPM Upendra Yadav saw them off. From ministerial level meetings to the summit, from retreat to the sidelines meeting, Nepal deployed due protocol. The main agenda was of course to promote the regionalism; Nepal used this summit as a forum to further promote bilateral relations. Nepali Prime Minister Oli held the meetings with all the head of states separately. Prime Minister Oli and Prime Minister Modi witnessed the three agreements signed between Nepal and India. The three agreements were the railway, bulk cargo. Both the Prime Minister jointly inaugurated the religious building in Pashupati Premises. Similarly, Nepal and Srilanka also signed two agreements.